Get ready for lake jumping and line multipliers. Developer Ketchapp clones the once popular Stay in the Line but adds another few layers of depth to simple gameplay concept. As one of the top iPhone games on the Apple store. The Line offers a fun twist on the conventional line avoidance gameplay. Such a simple game should be easy, right? If it was that simple, we wouldn't have a need to share these valuable tips for mastering it. Worried that you'll wipe out? We'll keep you in line. How do I stay in the line? It's similar to classic multi-touch games. The objective is to slide your finger along the touchpad area on the bottom of the screen, moving left and right to keep the ball in the center of the moving pathway. We discovered a strategy to help keep you in the game a bit longer. You don't have to keep your finger pressed on the touchscreen to move the ball within the line. 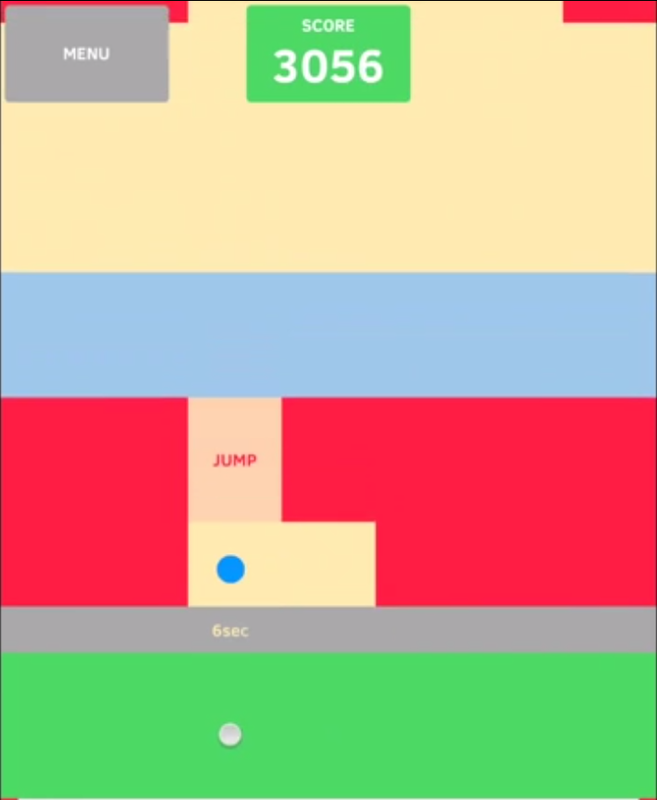 Tap on the location of where you want the ball to move. Don't overreact when trying to move the blue ball out the the way of the line. This game is unforgiving and will penalize you with a restart for the slightest infraction. Instead me sure your movements precisely to avoid corners or walls. How do I jump over the lake? It might seem difficult at first, but you want to release the ball to jump over the lake. Lift your finger from the screen for the length of the lake to avoid it. This makes it easier for you to maneuver around harder obstacles and avoid the lake entirely. This game requires quick reflexes and patience. So invest the time to practice lake jumping and it will pay off. Once you've mastered these strategies, you'll go on some great runs and see your score increase.